Note: I had posted this review on my blog View from my desk on 2013/02/17 and have transferred it here. It was a special wednesday evening at the East West Center, Hawai’i in September 2012, that I first heard the story of Eddie Aikau. The guest speaker, Stuart Coleman chose to talk about two Hawaiian heroes to demonstrate how individuals are catalysts for change. The story about the Hokule’a and how Eddie, a renowned surfer and lifeguard, dreamed of going on the voyage tracing Hawaiian’s ancient route across the Polynesian islands but never made it during that fateful March 1978 voyage and how his life inspired others to continue that journey touched me so much so that I purchased Stuart Coleman’s book ‘Eddie would go: the story of Eddie Aikau, Hawaiian hero’ at the end of the talk. I finally found the space and time to read the book this week and I am very much touched with the sensitivity and honesty that Stuart has handled the real-life characters. It is difficult to write about someone who has become a legend – a demi-god – in his death but it is even more difficult to write a portrayal of him that brings together different sides to the person and makes the person more human enough for the reader to feel a connection. Stuart goes further – he also brings to life vivid accounts of the people surrounding Eddie and how Eddie’s life and death touched them. I found myself reflecting deeply on how momentous events in a person’s life can change the entire direction to their purpose and life. And, how a person steers through the stormy waters is what brings them to shore. 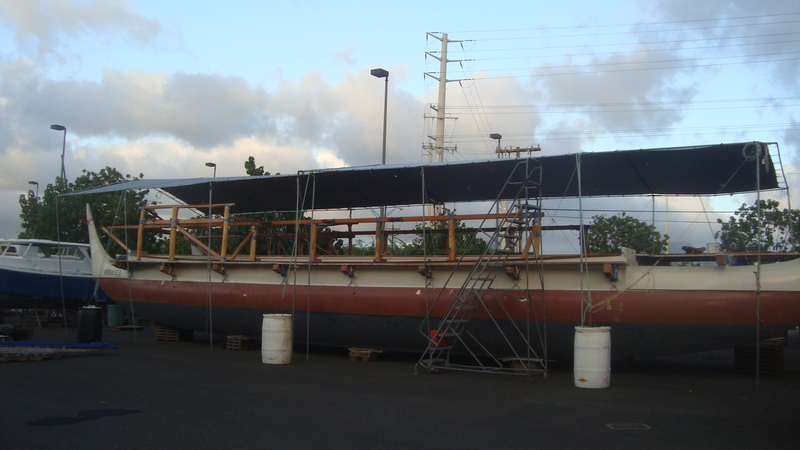 I found it difficult to think about Dave Lyman, the captain of Hokule’a, on its 1978 voyage and how the weight of responsibility of that fateful voyage and losing Eddie would have weighed on him. I pondered on how his career derailed from a capable sailor to never being asked to be a skipper again and how it affected all areas of his life. To have taken a decision under very trying circumstances and for having that decision haunt him for the rest of his life. It is tough. I also wonder how Eddie’s family themselves, particularly his parents for the remainder of their lives and his sister, came to terms with their inner demons. The fact that a family friend had asked them to speak to Eddie before the voyage and to persuade him to not go because of a dream that his wife had heard of the boat capsizing and Eddie being lost at sea. The family was torn but in the end decided not to say anything to Eddie because they knew it was his dream and passion and that he was a person who would go, when his mind was made up. It would have been hard for them in the aftermath of the accident. ‘Eddie would go’ is a book that has been well-written by Stuart Coleman and which I really appreciated reading.